It takes a village to raise a family. Trite, yes, but oh-so-true. And for that reason, it's important to choose your village wisely. And despite what some suburbanites may think, New York City is a cluster of "villages" that can be great places to raise young ones. While neighorhoods like the Upper West Side, Park Slope, and the Upper East Side have earned themselves eternal placement in the family friendly category, you'll pay top dollar to raise your kids there. So we decided to focus on some less expensive locales for this year's roundup of family-friendly neighborhoods. As Constantine Valhouli, co-founder of NeighborhoodX, a real estate analytics site that helped compile data for this piece, points out: "Both the Upper West Side and Windsor Terrace have an identical commute to midtown, of 37 minutes. Both are safe (ranked no. 18 and no. 16 safest, respectively). Both have well-ranked (10/10) schools. 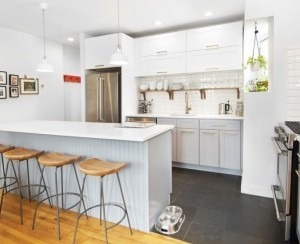 But a significant difference in price: UWS ($4,700/mo for a two-bedroom, $6,200/mo for three-bedroom) vs. Windsor Terrace ($3,000 and $3,500, respectively)." For that reason, you'll see Windsor Terrace on this list, but not the Upper West Side. Also, pointing to just how family friendly these areas are, nearly every one has a Facebook group dedicated to parents in the area. For the true inside scoop, we suggest you start there. Now, some more on our methodology: We cross-referenced data from StreetEasy on which neighborhoods have the most apartments with three or more bedrooms for sale and rent, and data compiled from NeighborhoodX (see table below) on rental prices for two and three-bedrooms, commute times, green spaces, and safety. From there, we narrowed it down to 10 great neighborhoods for families, taking into account all of those factors. 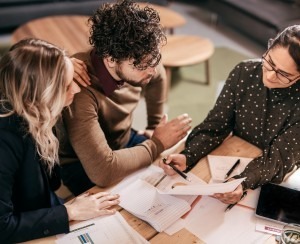 According to Fair Housing Laws, brokers can't speak to the "family-friendliness" of a neighborhood or the quality of its schools. For more information, we looked to InsideSchools, a helpful resource for all NYC parents, and Greatschools.org, a national website that ranks schools by numbers (out of 10). NeighborhoodX's safety data, which comes from DNAInfo's Crime and Safety Report, rates neighborhoods on safety from 1 to 69 (with 1 being the most safe and 69 being the least). So if you're looking to start, grow, or relocate your family, we suggest you pick from the neighborhoods below. Green spaces: St. Vartan's Park; the semi-private courtyard parks of Tudor City; most of the block between 35th & 36th streets between First and Second avenues; the Robert Moses playground on 42nd Street east of First Avenue; and the sculpture gardens of the United Nations; just north of the neighborhood is Ralph Bunche Park (First Avenue, between 42nd and 43rd streets). There are three big draws for families in Murray Hill: Good schools; the fact that parents can be home with their kids less than a half an hour after leaving work if they work in midtown, downtown or uptown Manhatan; and the fact that by Manhattan standards, it's on the more reasonably priced side (especially compared to places like Tribeca, and the Upper West Side). You may notice that the crime score is relatively high, but Valhouli says it's important to take that stat with a grain of salt. "The crime rankings take into account all crimes, from property crime to violent crime. And when all crime is considered, even some aspirational/popular neighborhoods have surprisingly high crime scores, in part because of the opportunities for pickpocketing, etc. offered by the crowds themselves. Conversely, many of the areas that are under the radar have some of the lowest collective crime scores." And while Murray Hill has had a (well-earned) reputation of being a post-college, boozy paradise, there are parts that are much quieter, says Jamal Syed, a broker with BOND New York. "Third Avenue is busy, but if you go further east, you're going to find things get quieter, especially on the side streets," he says. There are a lot of town-houses and smaller wall-up buildings, too, which help that area feel more "neighborhoody," and stay cheaper, too. "You can find a two-bedroom for somewhere between $700,000 and $800,000," says Syed. "That's not easy in most parts of Manhattan," he says. North Wiliamsburg was once hipster central and has, increasingly, transformed into a rather expensive neighborhood for the family oriented. New luxury condo buildings dominate there, but East Williamsburg still feels like a throwback, and as such, has strong, neighborhood-centric schools. "There are some wonderful under-the-radar schools in East Williamsburg like P.S. 196 and P.S. 147," says Joyce Szuflita, of NYC School Help. "Some families who have moved to Ridgewood in Queens still feel very connected to the neighborhood and send their kids to school in Brooklyn," she says. The neighborhood borders Bushwick, and relies on the L train at Grand (which means you could be seeing both real estate deals and transportation headaches in coming years). "The north side of Williamsburg has been built up from a residential and commercial standpoint, but East Williamsburg has preserved its mom-and-pop feeling," says Andrew Barrocas, founder of real estate brokerage MNS. "It still has its Italian bakeries and delis, and some of the most beautiful, quaint tree-lined streets with townhouses and rows of houses on them. It's a great neighborhood and has a local feel. It's what New York is supposed to be." Green spaces: To the west, along the Hudson River, is Fort Washington Park and the Hudson River Greenway. To the south is Jackie Robinson Park. To the east is the sprawling Highbridge Park. Within the neighborhood are several smaller parks including Bennett Park, Gorman Park, and Wright Park. And to the north are Fort Tryon Park and Swindler Cove.Riverbank State Park and its swimming facilities are south of the neighborhood, but still nearby. This upper Manhattan neighborhood is "quite literally surrounded by green space," says Valhouli (see "green spaces" above). The area is known for its prewar buildings, "and you see a larger inventory of three- and four-bedroom apartments," says BOND New York's Syed. "It's quieter than other parts of Manhattan and there's some really beautiful architecture," he says. Plus "lots of small mom-and-pop shops." While Washington Heights isn't chock-full of restaurants and bars the way other neighborhoods in Manhattan are, it "feels like a community, and moves at its own pace," says BOND New York's Syed. That pace: Slower than other parts of Manhattan. 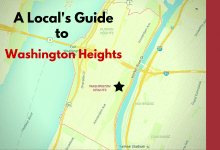 Hudson Heights (an area on the Western-most side of Washington Heights that's closest to the A train), has views of the river from many of its apartments. And it's affordable, too. "We see a lot of three-bedrooms that rent for less than $3,000 and sell for around $750,000," says Syed. Schools are a tad limited though, but "there are also many non-zoned options but they are not guaranteed, rather by a lottery like process," says Robin Aronow of School Search NYC. "District 6 has several district choice schools parents consider, but they aren't zoned. They are part of the Kindergarten application process and everyone in District 6 has equal access to them," she says. "The zoned schools parents look at are P.S. 187, P.S. 278 (in Inwood) and P.S. 178 (also in Inwood). The district choice schools are Castle Bridge, Washington Heights School, Hamilton Heights School, Muscota, Amistad, Washington Heights Expeditionary Learning School (WHEELS). A new dual-language kindergarten through second grade program Dos Puentes has also become popular," says Aronow. Green spaces: At the north end of the island is Lighthouse Park and the Roosevelt Island Garden Club, while the south edge of the island has Southpoint Park and Four Freedoms Park. There are several playgrounds and a dog run at the center. This island on the East River is popular with kids (and not just because they can take a tram to get there). "We have a lot of green spaces, and I think there's a feeling that it's safer than other neighborhoods since we don't have a lot of car traffic," says Briana Warsing, a lifelong Roosevelt Islander. Main Street is the only one with cars, there are no street lights, and there's a free bus that takes people back and forth on the island. And "the family community is pretty tight and people know each other," says Warsing. 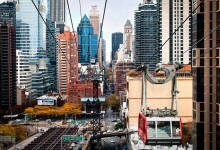 People tend to stay a while, she adds, and though it's considered part of Manhattan—Roosevelt Island has a 212 area code — it’s cheaper than the Upper East Side just across the river, she adds. And you get a little more for your money, too. "All Island apartments, both new and old, have two things going for them: generous square footage and postcard views, many of the East River," she points out. "Plus, all of the buildings, save one, are perk-heavy, with fitness centers and concierges. All have laundry, some in-unit. Two have indoor pools; two, outdoor pools." Changes are likely afoot for the neighborhood, which will be getting a Cornell Tech campus. "We're getting a lot of programming from them in our elementary schoola as a result," says Warsing. And so far, Cornell has listened to any concerns residents have had about construction. "We had a lot of meetings with them discussing our priorities and how we needed this to go and no trucking was a pretty big part of the equation. (Obviously there was some, cement trucks had to come via Main Street but that phase of the construction is over now and the construction site is way down on the south side of the Island where no one lives so noise isn't an issue either)," says Warsing. Green spaces: There's Fort Hamilton and Dyker Beach Golf Course to the south east and east, respectively. There is a ribbon of parks along the northern edge of the neighborhood, by 67th street, culminating in Owl's Head Park (although past that, the Owls Head Wastewater Treatment Plant, too). There are a number of smaller parks including Monastery Square, Fort Hamilton Triangle, and the Fort Hamilton Athletic Field. This predominently low-rise waterfront neighborhood draws city dwellers looking for a more suburban urban experience (plus, it's one of the 10 safest neighborhoods in the city!). The housing stock is everything from one- to two-family row houses, single-family detached houses, co-ops and condos. "Prices have been soaring in the neighborhoods in Brooklyn that are closer to Manhattan," says Jennifer Segalla of FirstService Realty NYC. "Bay Ridge is still affordable." 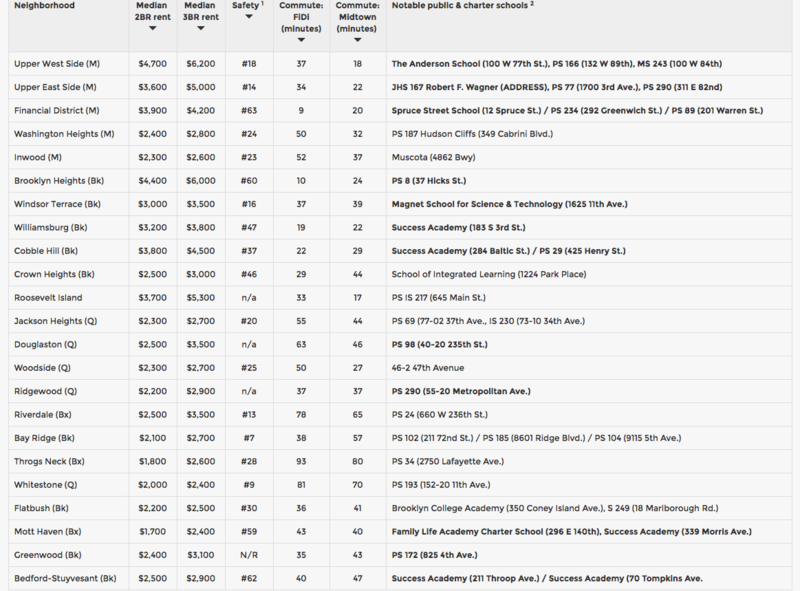 In addition to the well-ranked public schools, there are quite a few private Catholic schools. "There's a diverse mix of people here," says Segalla. "And we have a strong community. There are many people who've lived here for many years." Bay Ridge is also the perfect balance of city/suburban life, at least according to Segalla. "When you're on the main drag (Third Avenue) where all the stores, restaurants and nightlife are, it has a very fast-moving city vibe," she says, but head deeper into the residential, quiet, tree-lined blocks where the Colonial and Victorian homes are, and you have "a small town feel." And there's easy access to parks, tennis courts, playgrounds and the water, she says. 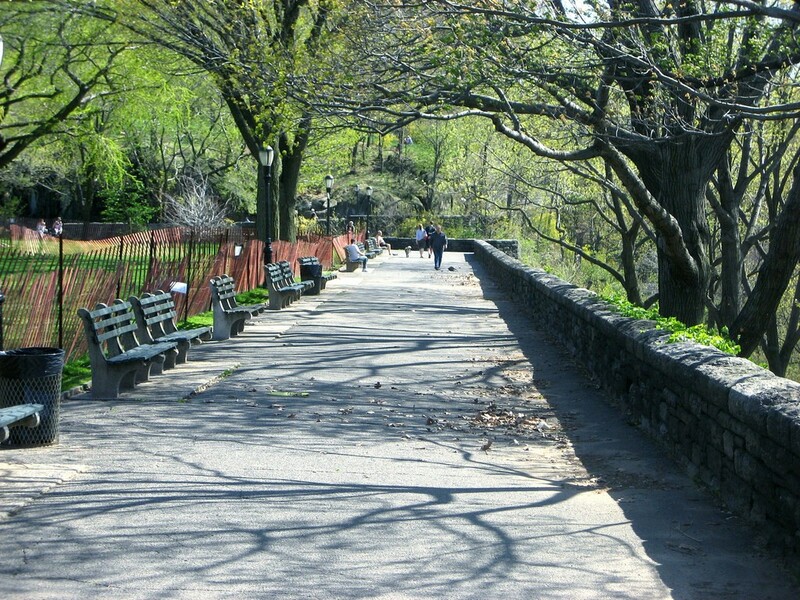 Green spaces: Within the neighborhood are a number of smaller parks and parklets including Gorman Park, Laguardia Landing Lights, and Travers Park. This neighborhood in Queens boasts large, prewar style apartments, says Kyle Cheng of BOND New York. "Two bedrooms start at about 950 square feet," he says. And a lot of co-ops have landscaped courtyards (especially those in the historic district, where the E, M, R and 7 happen to stop), adding to the feeling of green space. "The neighborhood was inspired by the Garden City movement and a very different sort of 'garden apartment' than the ones which the term refers to today. These distinctive buildings are often a full-block and share a sizeable common garden in the rear of the city block, offering residents a serene counterpoint to the liveliness of the neighborhood's street life," says Valhouli. "It's a diverse neighborhood, too," says Cheng. (The range of restaurants and food shops alone prove it.) "And the architecture in the apartments is just beautiful. You find rare things like woodburning fireplaces, and origial cast-iron mechanics in some of the elevators." Green spaces: In addition to the sprawling Van Cortlandt Park, Riverdale Park runs alongside the neighborhood with the Hudson River just beyond that. At the southern edge of the neighborhood are Raoul Wallenberg Forest, Spuyten Duyvil Playground, Seton Park, and the Riverdale Playground. There's also Ewen Park (which we featured in our story on the city's under-the-radar greenspaces). Riverdale, located at the top of a hill in the Bronx, is another one of those areas that is a suburban-urban hybrid. North Riverdale is more on the suburban side, South Riversdale more urban. Mary Phelan-Kavanagh, a broker with Douglas Elliman, has lived in north Riverdale, for 20 years, and describes some of the differnences. "North Riverdale has more single-family homes, whereas south Riverdale has more co-ops and some rentals and some condos," she explains. The neighborhood, she says is "a very affordable option, especially for co-ops. You can buy a two or three-bedroom apartment for under $400,000," she says. "And we have low taxes, too." It's easier to park in North Riverdale than South Riverdale, too (and no alternate-side parking! ), but both are accessible Metro-North (south Riverdale is closest to the Sputyen-Duyvil stop, whereas north Riverdale is closest to the Riverdale stop). There are shuttle buses that go to the Metro-North from other parts of Riverdale. Express buses are another option, and south Riverdalians can take a city bus to the 1 train down the hill. And for those who do the opposite commute, there's easy to access New Jersey and Westchester, too, because of proximity to major highways. "We're seeing buyers come from Manhattan and Brooklyn," she says. "And I know for a fact that we need more two- and three-bedroom apartments to meet demand." Green spaces: The neighborhood stands between Prospect Park and the Green-Wood Cemetery (a large, green space that hosts lots of activities). The Greenwood Playground is the only substantial park within the center of the neighborhood. 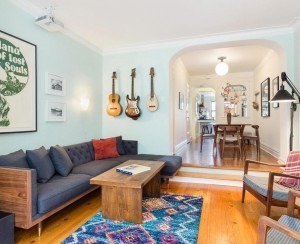 This leafy Brooklyn neighborhood borders Prospect Park, but is significantly cheaper than nearby family friendly neighborhoods like Park Slope and Prospect Heights. Plus, the schools are great (and diverse!). 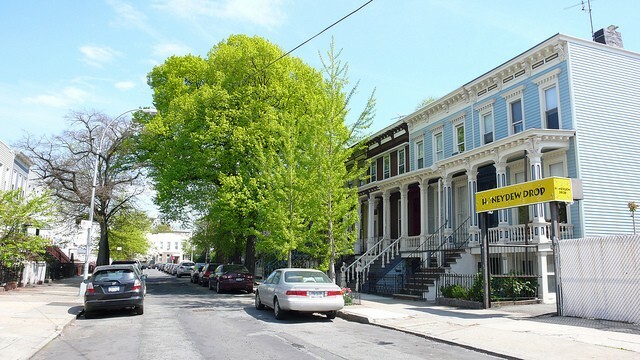 "The housing stock in Windsor Terrace is extremely varied," says Carolyn Cedar of Douglas Elliman. "There are co-ops, condos, rentals, and all styles of houses. Some blocks are very uniform, some are hodgepodge." But you're not going to find high-rises in Windsor Terrace ... at least not yet, which adds to the smaller community feel. If you want a sense of the neighborhood, you may want to visit at the end of October. "Halloween in Windsor Terrace is a real experience," says Cedar. 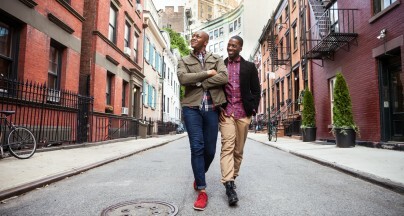 "If you don't want to be friendly with your neighbors, you don’t have to be. But if you want to, this is the place to do it," she says. And many people who come, stay. "Once people come to Windsor Terrace, they want to stay and upsize there," she says. "It’s a quieter neighborhood, but it’s a lovely neighborhood," she adds. Residents are drawn to this middle class are for its suburban feel. "The neighborhood's lower density allows for greenery in the form of yards with trees," says Valhouli. Detached houses and picket fences aren't uncommon. "The houses are unique. In Queens Village, you see a little bit of everything, it's like a buffet of real estate," says Yvette Clark Watkins of Douglas Elliman. "The majority are single-family and two-family properties," she says, and many start in the mid-$400,000s. Jose Cisneros, an agent with BOND New York, grew up in the neighborhood, and says he's looking to buy a place there now. His parents sold their two-family townhouse for $395,000 four years ago, and they're now going for over $450,000, he says. Bigger houses with more green space range from $700,000 to a little over a million, he says. Many co-ops are dated and need work, but they can sell for anywhere from $90,000 to around $200,000, he says. "Most rentals are in homes, and are set by homeowners" and there's plenty to find for way under $2,000 a month (sometimes with backyard access too). Note: There's no direct subway access—for that you'll have to travel about 10 minutes to the F train on 179th Street (via bus)—but the Long Island Rail Road and express buses are both options for going into Manhattan. Green spaces: In addition to access to Little Beck Bay, there is Alley Pond Park, Cunningham Park, Crocheron Park, Fort Totten Park, and Clearview Park and Golf Course. Within the neighborhood is O'Connor Park. "Bayside (which contains Bay Terrace), is a leafy waterfront neighborhood at the northeast edge of the city. It evokes a sense of suburbs-in-the-city," says Valhouli. Plus, the Queens neighborhood is one of the top-10 safest neighborhoods in the city. Bayside is a neighborhood of enclaves. There's Bay Terrace, the northernmost part of the neighborhood, which is primarily mid-rise co-ops; Bayside Gables is the higher-end enclave a gated communited with lots of Tudor houses. "The rest of the market is mostly 40-by-100-foot lots and detached houses, which average three bedrooms," says Laura Copersino of Douglas Elliman. A detached colonial that's been nicely renovated fetches between $800,000 and $900,000, she says. Rentals are usually found in two-family houses. As far as commercial attractions, Bell Boulevard is a strip with restaurants, shops and boutiques. It's also where you can get the Long Island Railroad. Express buses are another option for traveling into the city.